Bring dawn all ingredients and reach 40000 points to complete the level. This level have normal difficulty but little complicated board that could make you confuse. 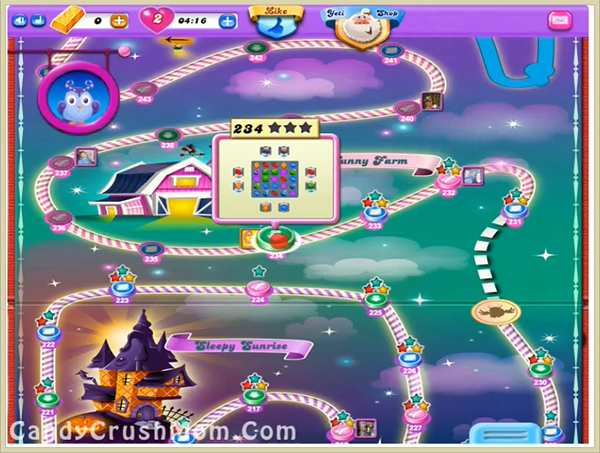 You need to play break candies on bottom two candies that will help you to take down ingredients. You should also wait till moon struck as it will help you to make some special move and you can reach requirement easily. We completed this level with 98480 score using same trick that we use above and got few special candies that help to reach requirement with two star score.